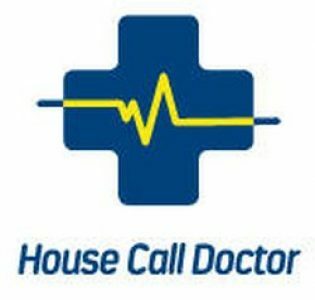 House Call Doctor’s home doctor service is a welcome return to the traditional home doctors who would visit their patients after hours. We link home doctors with patients in Queensland and Northern New South Wales after hours, making sure everyone can receive the healthcare they need, when they need it. Our home doctors bulk bill if you have a Medicare or Department of Veteran’s Affairs (DVA) card, even after midnight. If you are an international student, you may be able to claim the cost of an appointment, depending on your insurer. House Call Doctor relieves the pressure on local emergency rooms, by providing after hours medical attention to patients in their own home. We see 90 per cent of our patients within 3 hours of them having made a booking. Your Medicare card or DVA Number (if the patient is not eligible for bulk billing, we will require credit card details). Our home doctors are not intended to replace your normal GP. Regular GPs are an important part of managing your health. Our home doctors can help you when you are sick or injured and your regular GP is closed. Once you have been treated, the home doctor will prepare a clinical report for your GP to ensure they are up to date on your healthcare needs. Deciding whether you should visit an emergency room or see a doctor is tricky enough, especially if your regular doctor isn’t available. If your condition is life threatening, or if you are having chest pains or difficulty breathing, please dial 000 and request an ambulance. House Call Doctor is not an emergency service. If your condition requires immediate medical attention or is severe, visit your nearest emergency room. Make sure we service your area by checking home doctor. While you’re there, request a free fridge magnet so our details are always readily available.